Hello! Let me first announce that the winner of the Super Sharp Little Scissors is Emily C. who won with the easy entry. Congrats and please check for my email, Emily. Well, how has your week been? It seemed like I didn’t have much free time this week with work and regular life stuff. Plus, I had a headache a lot of the time. I can’t tell if it’s allergy/sinus related since I’ve been stuffy or if it’s a 40 something lady type thing. All I know is it’s no fun and it’s still hanging around today but to a lesser degree. The weather has been kind of crazy here. It was cold earlier this week and right now it’s in the 70s. It’s been very blustery the past couple of days. I just saw we’re under a tornado watch right now. I hear some thunder rumbling in the distance. Have you seen these candles at Target? They’re only available in stores and they usually have them on the end of an aisle. They are super fragrant. This one is wonderful and it combines two of my favorite floral fragrances — lilac and honeysuckle. Another one I’ve tried (and it seriously smells good enough to eat) is Pumpkin Cheesecake. They are available in two sizes and at my store are priced $5 (small single wick) and $10 (large double wick). Aurifil is having a 30th anniversary contest using the Hey Girl meme that was all the rage with Handmade Ryan Gosling about a year or so ago. Above is an entry of mine. The winner will be selected the day after Thanksgiving and will receive a set of Aurifil thread and a mystery box from Moda. You can download this super cute embroidery pattern for free here. Isn’t this a fun idea? They are napkins that have manners reminders on them. You can check out the tutorial and download phrases ready to print here. If you’re not already aware, I’m a huge fan of Turner Classic Movies. It’s pretty much the only channel I watch. I was so excited to learn they added a new service called Watch TCM, which provides live streaming of the broadcast and on demand movies. However, your satellite or cable provider has to participate and Directv at this time does not. I certainly hope they get this added soon. I wish these networks would stop tethering themselves to satellite and cable providers and start offering standalone streaming with a paid subscription. 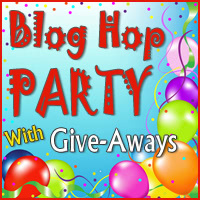 Thursday I’ll be participating in a giveaway blog hop. That means a second giveaway this week for you! Stay tuned for that post and watch for a whole bunch of giveaways from the blog hop on the link up later this week. That’s all I have at the moment. I need to shove off with the dog. I’m taking her to Petco where they have a self service dog wash. It’s just $10 and they provide everything you need including shampoo and towels. Not all Petco stores offer this service, so check with yours to see. Be sure to have proof of a current rabies vaccination when you take your dog, also. In the summer I give her a bath outside but it’s too cool for that today and I’m not going to lug a 75 pound dog into the bathtub and then have her shake off all that water in the house! So much good stuff here! Love the embroidery, doing the hop too and I need to see if my petco has that service!! !